The resignations of two top Ben Carson's aides on Thursday were the latest signs of a sagging campaign that would have been difficult to anticipate just eight weeks ago, when Carson was leading in many polls of the GOP race. Barry Bennett, who had been Carson's campaign manager before stepping down, was feuding over the direction of the neurosurgeon's candidacy with Armstrong Williams, a longtime Carson friend and outsider adviser who had the candidate's ear. Williams, in an interview with NBC News, acknowledged the tension, saying, "I know they had issues with me," referring to Bennett and communications director Doug Watts, who also resigned. But the internal tension was nothing new, as Williams' role in Carson's operation had long annoyed his official campaign staff. Carson, in interviews before Christmas, was hinting that he had wanted to change his campaign operation for the same reason candidates usually change staff: he was falling in the polls. Carson, after briefly being the favorite of Iowa social conservatives, has been supplanted by Tex. Sen Ted Cruz in the Hawkeye State among that bloc. And he is now behind both Cruz and Donald Trump in national polls and surveys in Iowa. It’s not totally clear why Carson lost ground. In part, it could reflect the strength of Cruz, another religious conservative who was well-positioned to appeal to that voting bloc. Carson, after his surge in the polls, was also the subject of weeks of negative media coverage that suggested that he exaggerated parts of his personal story. And the retired neurosurgeon was using an unusual strategy that may not have had staying power. He went on a book tour in October, in the midst of his campaign, that included stops in states like Nebraska, instead of concentrating on making appearances in Iowa and New Hampshire. 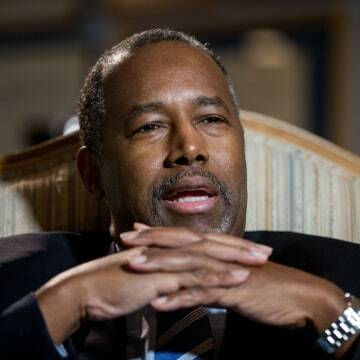 The candidate himself has suggested the ISIS attacks in Paris and San Bernardino, California caused GOP voters to want a candidate, like Trump or Cruz, who speaks in bellicose terms about fighting terrorism, instead of the soft-spoken Carson. Carson’s struggles suggest that GOP voters may not be specifically looking for “outsider” candidates, and that Trump’s appeal is unique. Carly Fiorina, another Republican candidate who had never previously held office, briefly surged in polls and then tumbled. Carson has followed the same pattern. But Carson's declining has still been surprising in some ways. He raised nearly $21 million in campaign funds from July to September, by far the most of any Republican candidate. Carson never faced the kind of intense attacks from his rivals or the press that Trump had to endure. And while Carson has struggled to speak in detail about policy issues in the candidate debates, he has not made any major gaffes during those sessions. In fact, while lacking the bombast of Trump, Carson has campaigned in much the same way: relatively few campaign stops in early states, lots of appearances on national television and controversial remarks that appeal to Republicans who dislike so-called political correctness. Before Trump suggesting banning Muslims from entering the United States, Carson had said he would not vote for a Muslim presidential candidate, a stance his supporters embraced. With a month remaining before the Iowa caucuses, the big question will be how Carson reshapes his campaign and what effect those changes will have. Polls suggest Republican voters still view him favorably and that he has some room to rebound, particularly in states like Iowa and South Carolina, where the electorate is full of evangelical Christians. And Carson has strong grassroots support of among Republicans, raising $23 million over the last three months, more than the $20 million Cruz brought in during the same period. 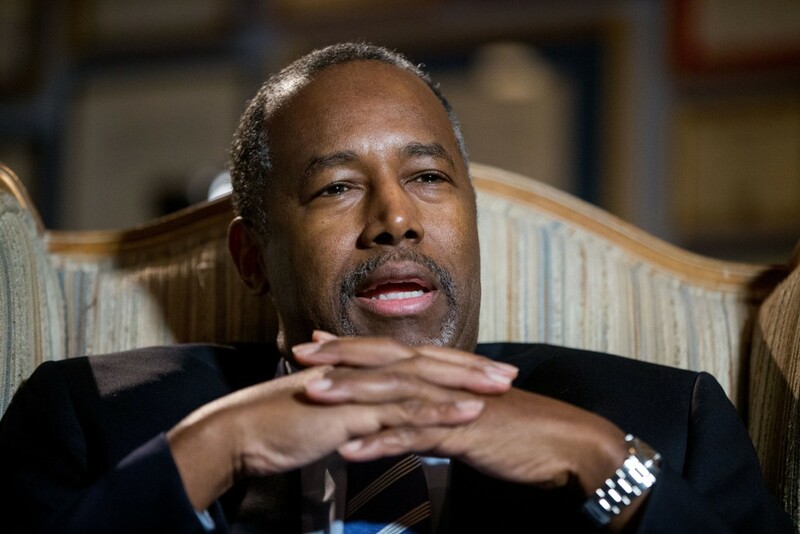 But if Carson keeps falling, where his supporters go will become an important part of the campaign. 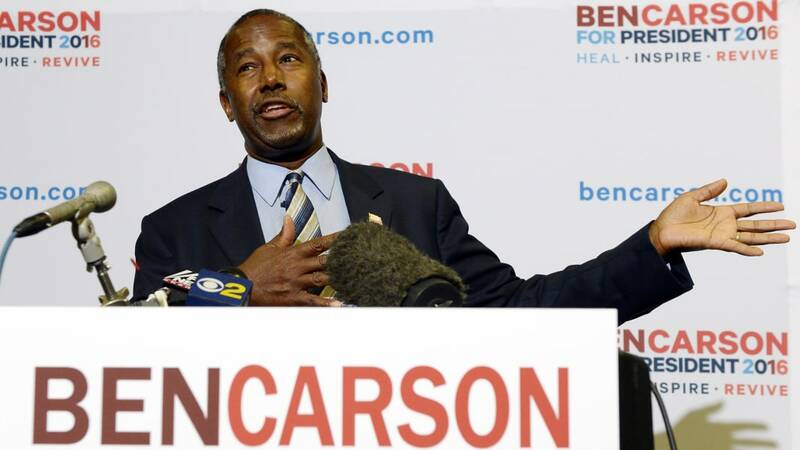 Polls in Iowa suggest Carson currently has about 10 percent of the GOP electorate behind him. Winning over that bloc could held Trump or Cruz solidify his standing in the state, or another candidate, such as Florida Sen. Marco Rubio or New Jersey Gov. Chris Christie, make a comeback there.